Would you like to see scores of fiddlers playing? This is your chance! 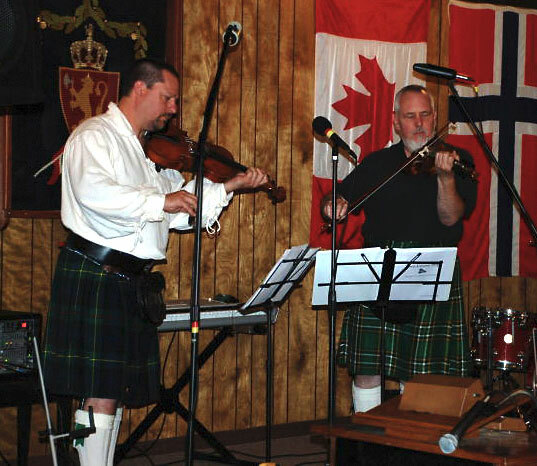 We’ll be playing with the San Fransisco Scottish Fiddlers in Vallejo July 10th, 2010, as part of Vallejo Art & Concerts in the Park Summer Music Series. Outside at Children’s Wonderland on 360 Glenn Street. Performance from 12:00 to 2:00. Admission: $2 (that’s right, two dollars). This entry was posted in Events on July 5, 2010 by barry. A big thank you to all the fine folks we had the pleasure of meeting and playing for at the Sons of Norway Freya Lodge in Santa Rosa. Everyone was so friendly, the food was great, and we’re very happy to have had a reason to add some Norwegian and Scandinavian tunes to our repertoire. This entry was posted in Events on June 22, 2010 by barry. This entry was posted in Events on February 25, 2010 by barry.